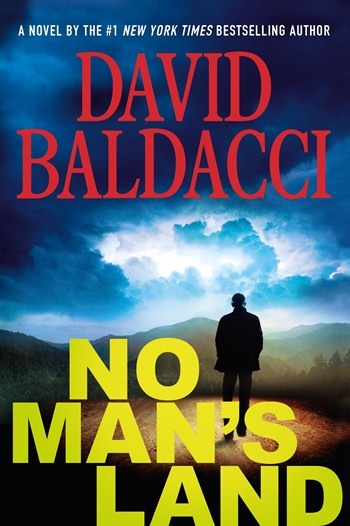 His latest, “No Man’s Land,” has two such troubled characters: John Puller and Paul Rogers. Puller is a military investigator whose accomplishments were chronicled in several previous Baldacci novels. He’s visiting his father, who is hospitalized with dementia, when two Army officials arrive with devastating news. The Army, they announce, has reopened the 30-year-old case of his mother’s disappearance after receiving a letter accusing his father of his wife’s murder. Puller Sr., a legendary three-star general, wasn’t a suspect back then because he was believed to have been out of the country. However, new evidence and the letter show that he was at Fort Monroe, Virginia — where the family lived at that time — a few hours before Jackie Puller’s disappearance. Now, the man has one goal: to return to Fort Monroe, where he once lived, to take care of some “unfinished business.” Puller is already there, trying to find out what happened to his mother when he was 8 years old and his Air Force major-brother was 9. Only when he accidentally meets and gets to know Rogers is he able to uncover the horrifying truth behind the family tragedy, a secret the Army has covered up for decades.